4 EVER Pedestrian Push Button - J.O. Herbert Co., Inc.
4 EVR is digitally controlled and virtually vandal proof. The 4 EVR places a 150 ms closure and cannot be stuck in a constant call. An LED and audible tones are activated with the pedestrian call. The 4 EVR C may be configured with a momentary or a latching LED acknowledgement. 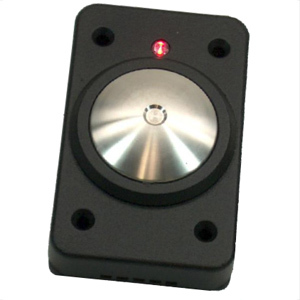 The latching LED Pilot Light requires an Enlightened Interface Module sold separately. The actuator is pressure sensitive and uses no screws or bolts in the functioning components. 4 EVR is robust and designed to work for many years to come. 4 EVR is ADA and MUTCD compliant.